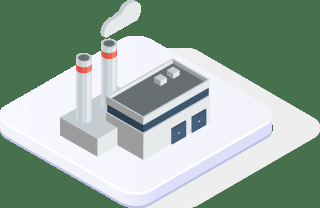 Manufacturers are today looking to exploit the commercial and operational potential of technology enabled solutions to meet some of their key objectives – lean and efficient processes, optimal capacity utilization, and conformance to quality and safety standards. Vertex offers a host of solutions that create an impact on the major areas of manufacturing and make it ready to meet industry forces head-on. Vertex is a registered partner of Kenandy which is the premier supplier of cloud ERP application which manage the operations, finance and manufacturing for global enterprises. Solution for tracking and managing the defects in equipment across multiple plants to ensure uninterrupted production and zero shipment delay. Solution for managing the real time flow of packaging materials for multiple production lines; integration with warehouse system and purchase order system to induce improved efficiencies in production lines. The Production Quality Improvement Solution leverages big data analytics to provide the Quality teams with real-time production and quality metrics. It helps the teams track quality parameters and gain control over various QA issues and improve the overall production quality.